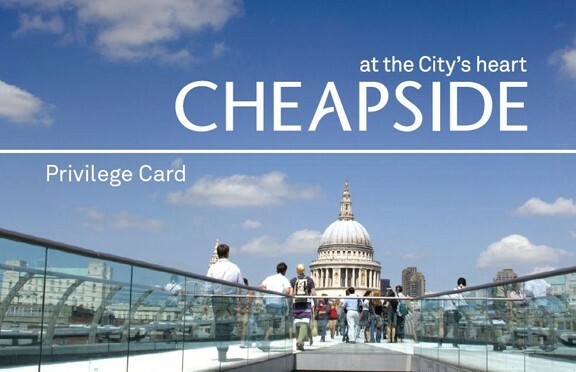 If you work in the City of London the Cheapside Privilege Card is for you! You will see an amazing array of offers, in particular from One New Change and Royal Exchange with whom we have been working closely since 2010. Why not check out some of the unique and exciting offers on eating, drinking, shopping, leisure and health opportunities which you will find irresistible! If you would like to obtain a Privilege card or the Cheapside App to access these amazing offers please email Claire.Dumontier-Marriage@cityoflondon.gov.uk. Why wait, get your card today!